While singing you are allowing yourself to feel the emotional content that is appropriate for the song. As a result, you are releasing those emotions and stress in your body (muscles) and literally decreasing the cortisol in your blood stream. People work all day, come to choir practice tired but then leave choir practice energized. Your diaphragm, lungs and overall circulation get a great work out through proper projection and vocal technique. Students are usually surprised at the level of perspiration they encounter while doing their singing exercises during a lesson. While singing you must stand straight and this will become a wonderful habit. A gentleman with Parkinson’s, in one of my choirs, has taken this to heart and is walking much straighter with his cane. Increased oxygen to the blood stream and blood circulation improves mental alertness because there is an increase in oxygen to the brain. In nursing and senior citizen homes programs that involve music and singing are increasing because of the health benefits to their patients. Proper annunciation, sounding vowels correctly and allowing yourself to feel the appropriate emotions in a song overflows into using these same techniques when you are speaking with your colleagues at work or family members at home. Eleanor Roosevelt said, “You gain strength, courage and confidence every time you really stop to look fear in the face. You must do the thing you think you cannot do.” For people who experience extreme nervousness (anxiety) when faced with speaking or presenting, choosing from singing in a choir, or in group performance classes, or private lessons, is a great way to overcome the fear that is associated with singing or speaking in front of an audience. One of my students wanted to speak and sing a song at her son’s wedding and after taking one round of group performance lessons, she did it and the family was shocked! When choir members sing together they are no longer alone but part of something that is much bigger. Friendships are developed. Great laughter and or the support of others during difficult times is available. One chorister once said that she does not like to miss choir because she sees it as uplifting therapy. 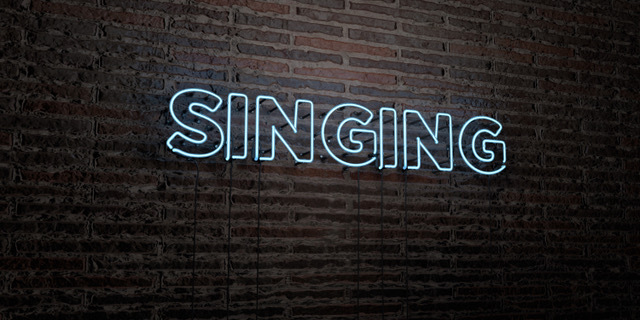 There are all sorts of activities that we can get involved in to assist us with the rest of our lives, why don’t you take this opportunity to try something different and go ahead and sign up for a singing activity. You will be pleasantly surprised!